Featuring fantastic microfiber upholstery and masterful American craftsmanship, this reclining sofa will surely become the centerpiece of your living space. Come experience it at Gallery Furniture TODAY! Top-qualit microfiber upholstery feels great after a long day. 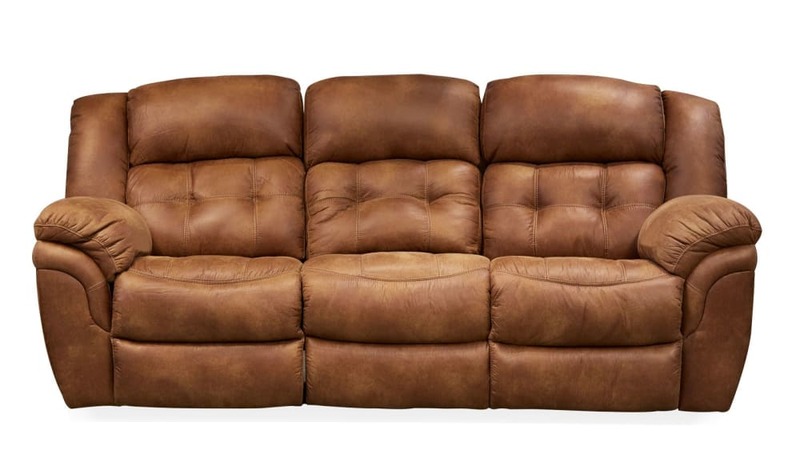 Plush, tufted cushioning offers amazing comfort. Manual reclining options will turn this sofa into your home's centerpiece.